We Scots love our oats and this Scottish Oaty Cranachan is a good example of how fabulous oats can be. I know you probably use them to make the occasional bowl of porridge but do consider them when making dessert too. First of all let me help you pronounce it, here we go, cran-i-kin. 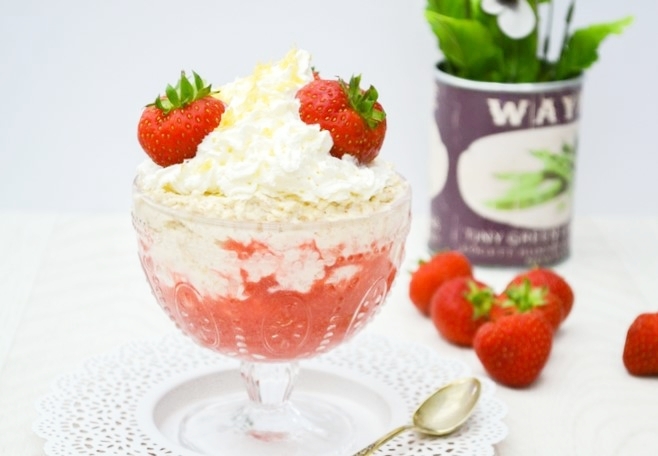 Cranachan is an old Scottish dessert that was originally called cream crowdie and was traditionally served at harvest time. It was made with crowdie cheese, a creamy cheese which was mixed with cream and oats and a little bit of honey to sweeten it. When raspberries were in season they would be added and if a crofter was feeling flush he would add a spot of whisky. You really can't beat the flavour of Scottish berries and I usually make cranachan with Scottish raspberries, but this time I decided to try it with strawberries for a change and it was rather wonderful. I filled the dessert glasses with some pureed strawberries, then topped the puree with a glorious mixture of whipped cream mixed with lightly toasted oats and whisky, sweetened with a little maple syrup. I finished off the desserts with some squirty cream I happened to have in the fridge, some fresh strawberries and a sprinkle of finely grated lemon peel. Cranachan is usually made with honey, but the maple syrup worked really well. I've not tried it yet but I plan to make a vegan version of this. I'm thinking that coconut cream would work well instead of double cream. The kind you make by chilling a tin of coconut milk in the fridge overnight, pouring out coconut water (keeping it for smoothies), then whipping up the solids until thick and creamy. I think it will be rather lush. I'll report back once I've tried it. I said we love our oats. You really would not believe how much we love oats and how many dishes they are used in. Oats have always been a basic crop here in Scotland and a cheap way of bulking out dishes. A traditional Scottish dessert made with lightly toasted oats, cream, whisky and berries. 1. Whizz up most of the strawberries with the icing sugar to make a puree. Reserve a few to serve. 2. Lightly toast the oats in a frying pan for a few minutes, being careful not to burn them. Tip them onto a plate and leave them to cool.3. Whisk the cream, with the whisky and maple syrup until you have soft peaks. Then fold in most of the oats, but keep some aside for serving. 4. Layer small glasses with strawberry puree, then carefully add the cream mixture. Sprinkle with oats and top with strawberries. You can add a swirl of whipped cream and some grated lemon peel as a garnish, but this is optional. Chill until ready to serve. 5. Enjoy! I created this dessert for Rennie's Taste of Britain celebration. Needless to say I had to bring some Scotland into the mix. Rennie® have been helping relieve heartburn and indigestion on these shores for more than 80 years and as part of the 80 year celebration they wanted to proudly share the flavours of Britain and the stories behind them. Disclosure: I created this recipe for Rennie as part of their celebrations. I was not required to write a positive review and any opinions expressed are my own. I love the sound of this dessert -- and the name. I said it three times out loud just to hear what it sounded like! Love the whiskey, too -- it makes it a grown-up treat! Haha, it is a rather good word. You really need to hear it said by a Scot. I do hope you try it. We love our oats too - I start to worry if they aren't there are the supermarket! 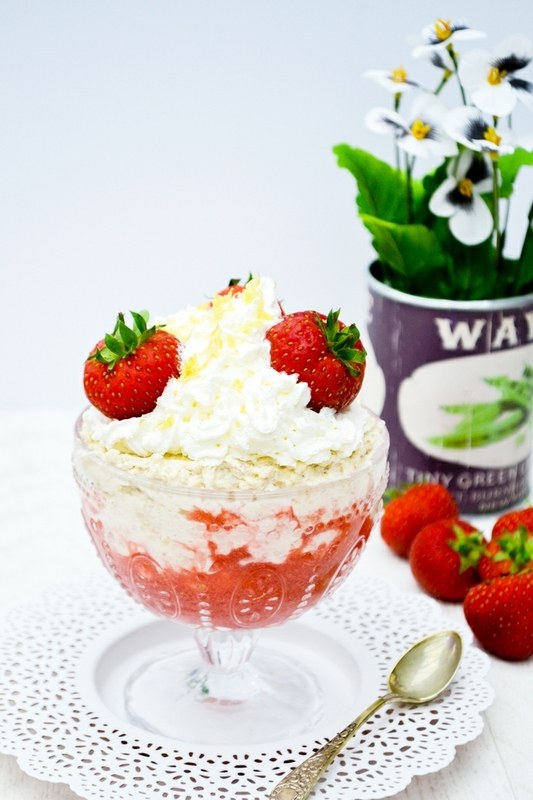 your cranachan looks very posh and I am sure it tastes great with scottish strawberries (which are a cut above ours). I like the sound of the creamy cheese and cream rather than just cream - which sounds a bit more like a simple cheesecake - could you do a vegan one with a mix of a vegan cream cheese and some coconut cream or is the creamy cheese different from a cream cheese. I don't think I would make it with cream cheese. You are right that is more like a cheesecake filling and a very old recipe. I thinking whipped cream or whipped coconut cream with the oats and whisky is enough. 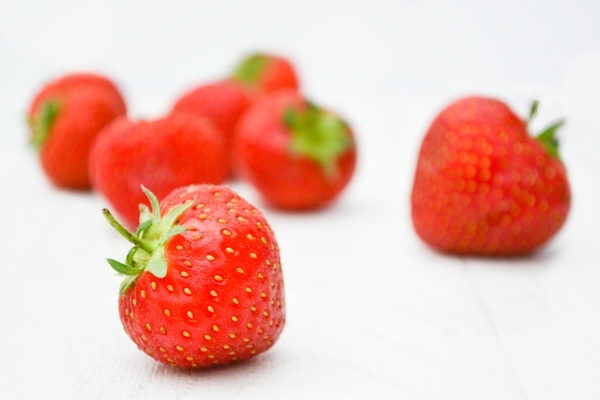 A perfect and easy recipe for strawberry season. YUM! Mmmm yum! 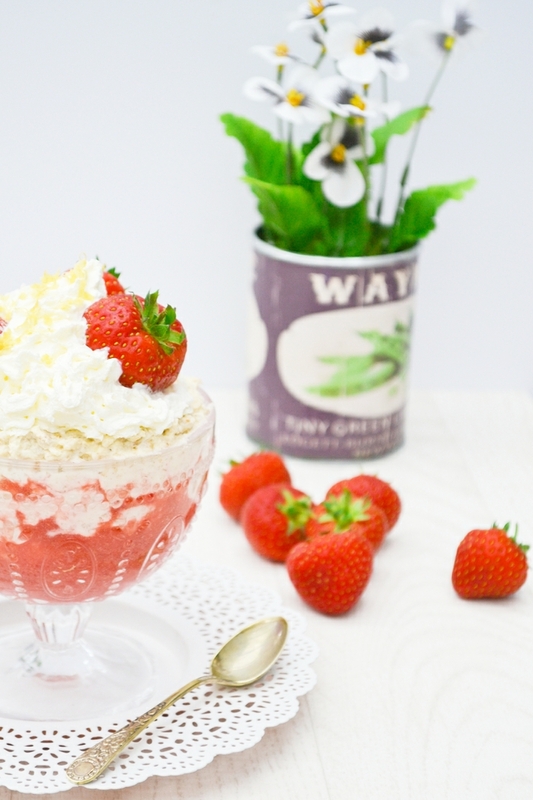 I do love a good Cranachan me, and I love the idea of having it with coconut cream too! I really hope it will hold the whisky. I've added a little lemon juice to whisked coconut cream before and that was fine. Mmmmm, that looks sooooo good! thanks for including the pronunciation too. Now I know I'm saying it correctly when i tell all my friends! I don't use oat flour, but I do like you get through lots of oats. Oh yes! I think a vegan version with coconut whipped cream would be amazing. I love the whisky addition. I am all over that! I'll let you know if I try it and it works well. Never heard of Cranachan, but it sounds absolutely delish! I love oats and use them in everything from breakfasts, desserts, baking and savoury dishes. I basically try to use them in the place of plain flour. Oats are incredibly versatile! It is rather gorgeous and yes oats are fab. I think this would be equally fab with coconut cream, though I think you can't beat cream. It whips so perfectly! I've only had cranachan a few times before, must be inspired to make it again! Yes, although I am hoping the coconut cream will work well too. Time will tell. I'll publish the recipe once I perfect it. This looks so delicious. I love the inclusion of some maple syrup too.